If you missed the previous three, all four of Ommegang's 2018 'GoT' beers will be sold in a single gift set. Nailing down the premiere date for the final season of the Game of Thrones television show or the release date of the next book in the A Song of Ice and Fire series continues to be frustratingly difficult, but the official Game of Thrones beers continue to chug along like clockwork. Less than six weeks ago, Brewery Ommegang announced the third offering in this year’s four-part “Royal Reserve Collection”: Mother of Dragons, a boozy tribute to Daenerys Targaryen, will be released on September 28. But even as we await that brew, Ommegang and HBO couldn’t contain their excitement about the fourth and final beer in the collection, and now, we have details on that beer too. King in the North will be a massive barrel-aged imperial stout (though the ABV wasn’t mentioned) intended as a tribute to Jon Snow. The beer will be released on November 23, which also happens to be Black Friday, a date known for the release of barrel-aged stouts thanks to Chicago’s Goose Island Beer Company which earmarked the holiday for the annual release of their Bourbon County Brand Stout line of beers. 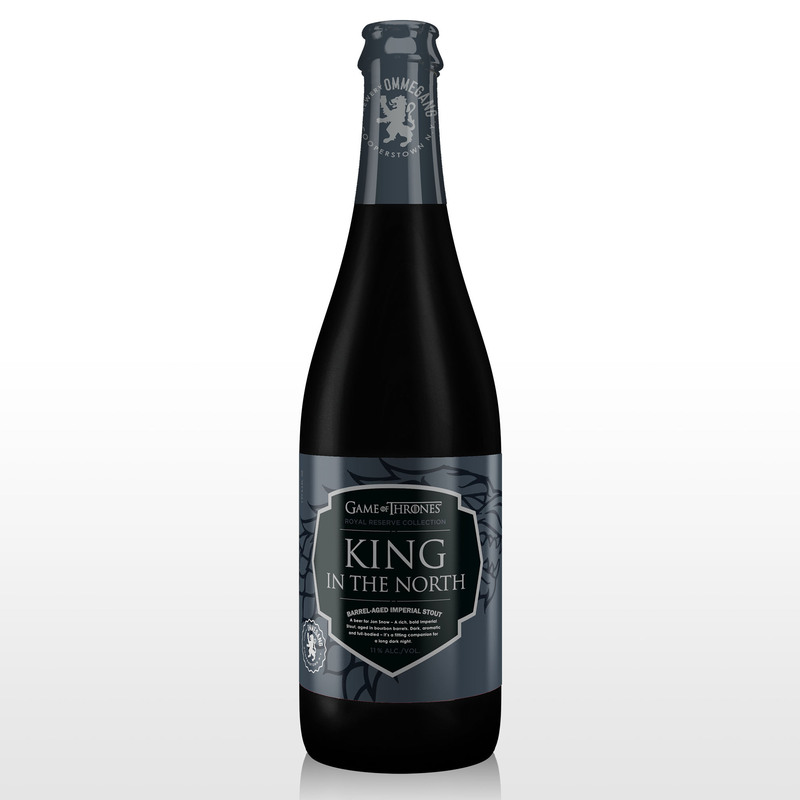 Individual bottles of King in the North will be sold in the larger 750 milliliter format at a suggested retail price of $12.99; however, as we probably should have expected, since the Royal Reserve Collection is now complete, all four beers will also be sold together in a four-pack of smaller 12-ounce bottles as “a one-of-a-kind gift pack, just in time for the holidays” that also comes with a collectible Game of Thrones glass. At a suggested price of $24.99, it actually sounds like a pretty solid gift for any beer-drinking GoT fan. For those in need of a recap, the other Royal Reserve beers are the barleywine Hand of the Queen, which was released in April, and the sour blonde Queen of the Seven Kingdoms, which was released in June. As mentioned above, Mother of Dragons, a smoked porter and kriek blend, arrives next month. Then, by our count, with King in the North, Ommegang and HBO will have collaborated on 13 beers over the years. We can only assume something will be in store for 2019—especially since that’s when HBO says the final season of the show will air.